As MJBiz laid out the criteria for our first international conference — seeking a friendly, global destination open to research, policy, expansion and diplomatic considerations in the cannabis market — Toronto was a natural first choice. In addition to being a financial capital and champion of diversity and inclusion, Toronto has an established acceptance of the cannabis industry – long before the passage of Bill C-45, legalizing the recreational market nationwide. For one, it’s attracted as many as 20,000 people at its annual Global Marijuana March, considered the world’s largest annual demonstration in support of legalization. While you’re in town for MJBizConINT’L from August 14-16, you and your cannabiz colleagues can accomplish some serious networking against a background of a lively arts presence, a rich and diverse food scene, and innovative claims to cultural fame. 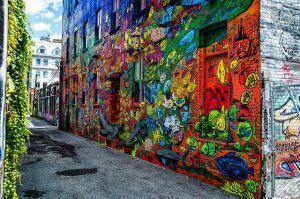 A short walk from the Metro Convention Centre, Graffiti Alley attracts prominent graffiti artists from around the world. The results? A square kilometer of vibrant colors, intricate designs and thought-provoking images can instantly refresh you after a full day of conference sessions. Look out all around town for public art spaces that just might give you a brand new take on street art. To experience unique customs and delicious cuisines from different regions of the world, you don’t even have to leave Toronto’s city limits. Spread across the city in pockets of every major neighborhood, you’ll have no trouble experiencing a uniquely new flavor — or a taste of something comfortingly familiar. 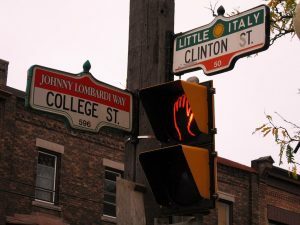 Learn more about some of the most recognizable cultural neighborhoods in Toronto: Little Italy, Little India, Chinatown, Little Jamaica, Greektown, Little Portugal, Koreatown, Little Poland, Little Malta. If you enjoy the idea of a selection of traditional Japanese small plates delivered over several delicious hours, then you’ll appreciate that Izakayas are popping up all over Toronto. 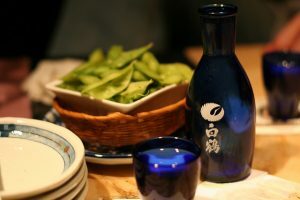 With their extensive selections of Japanese whiskeys, sakes and traditional small plates presented in a low-key and relaxing atmosphere, Izakayas are impressive venues for informal business meetings or extending your conference networking well into the evening. The annual Toronto International Film Festival (TIFF) in September attracts nearly half a million attendees every year and is considered the largest and one of the most prestigious film festivals in the world. But, did you know they host year-round screenings of both popular and indie flicks? 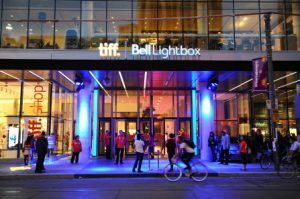 A perfect weekend activity, you can also catch discussions with leading critics, directors, writers and others at the TIFF Bell Lightbox in the heart of Toronto’s media and entertainment district. Hockey, eh? 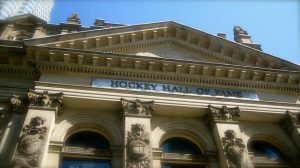 It wouldn’t be right to exclude hockey from our highlights, especially since 2018 marks the 75th anniversary of the Hockey Hall of Fame. And while the museum closes at 5 p.m. on weekdays, you can still make a pilgrimage if you plan on extending your Toronto visit through the weekend! Toronto is a bustling Canadian metropolis at the forefront of innovation and cultural progress — and we couldn’t be more excited to host our premier international conference in such a lively, cannabis-friendly destination. If you haven’t booked your MJBizConINT’L accommodations yet, we have some great discounted options for hotels in prime locations around the city, and some great deals for transportation when you arrive.